Each one touched by the Fairy with smiles. Watching the exchange and the woman’s downward glance. 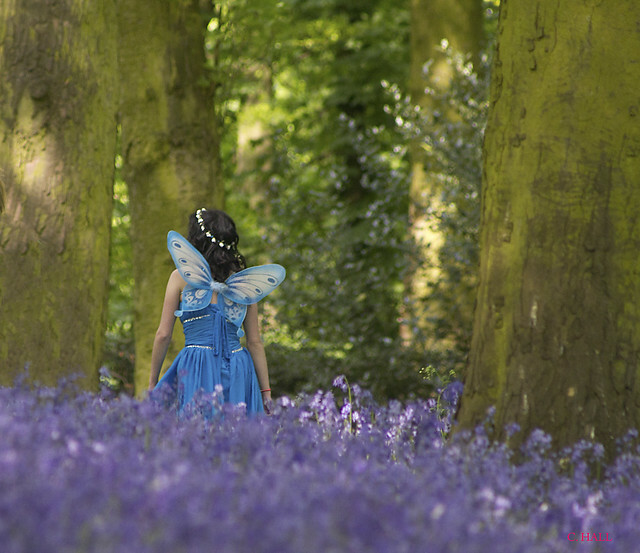 The Woman discovers the Bluebell Wood.. Remember that LOVE will lead you straight back..
Have a Wonderful Week All of You.. 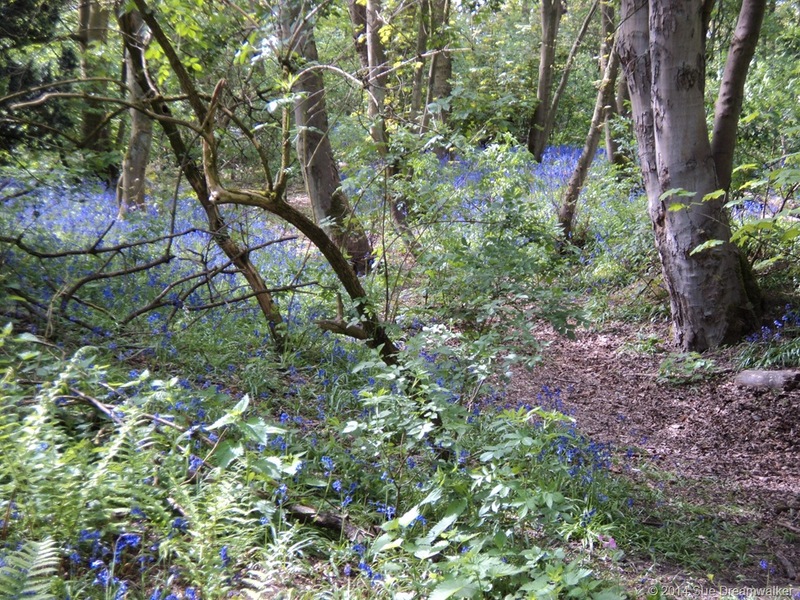 I hope you enjoyed my photo’s of my walk in the Wood, along with my little story poem.. Very moving. A beautiful thing for me to read first thing in the sunshine of an Oregon morning. Thank you, Sue, for being so creative. There’s still the extractor fan and shower to fit, so that could be next week before that happens. This morning, care weighted me down. Then I visited you and your wood, felt lifted up. Thank you, you are ever so often such a blessing. Thank you for this beautiful piece – the photos and the words are perfect! Sue your photos are breathtaking and your poem perfectly matched the imagery. I want to visit these enchanted woods and take in their magic! I loved your ‘little’ story poem Sue. I want to print it out and put it up where it can lighten my heart every time I see it. 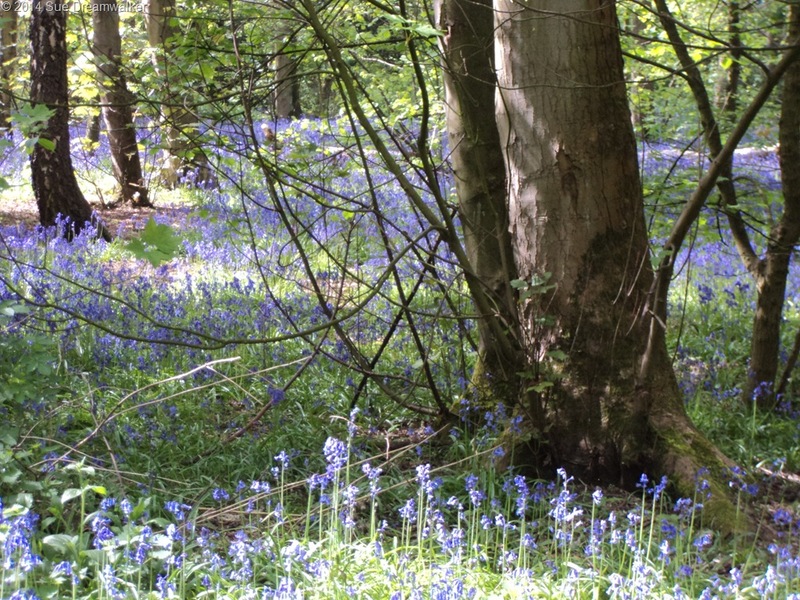 The blue bells are ringing and Sue is now singing. 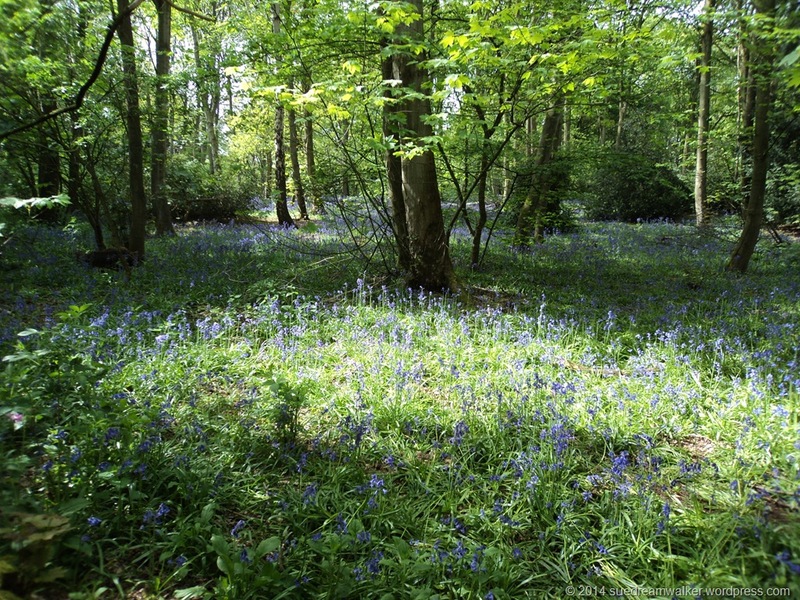 Let him wander lonely on a hill your blue bells beat all daffodils. Aww Jack,, Many thanks.. You know I so admire Wordsworth.. and I have a wonderful gold edged paged first copy book of his poems… A wonderful headmaster gave them to me when I left my junior school aged 11… He was a wonderful mentor of my painting..
A book to cherish Sue. Like calligraphy books of this type are becoming obsolete. We can adapt, understanding the universal truth, that all things are subject to change. I am enjoying my eBooks downloaded from the public library. . I am ahead of you only in years. Sue, dear, I can’t hold myself back in appreciating your wonderful thoughts and expressions. This lovely poem-story, beautifully expressing, along with pictures, the need to discover oneself by talking to Nature, seeking the Silence and allowing Nature to play its part in our lives is simply fantastic!. What a tragedy we are acting against Nature these days and getting punished? A great piece with deep philosophy. My Dear Surinder… Its an honour to have you visit and comment my friend… I thank you most kindly for your encouragement .. Yes Nature is indeed wonderful in all its forms, and I agree so many take nature for granted and disrespect her.. Somehow I feel Nature will have much to teach us on in the very near future.. Yes, dear, blogging keeps me too busy and I am enjoying every bit of it. Thanks. Dear Surinder.. I am flatter, but I am no intellectual, Just an ordinary working girl, Mother and Wife.. who enjoys creating.. be it Gardening, Cooking, Sewing, painting.. I have come through life knowing that we have to try our best.. Many thanks for your kind compliments Surinder..
Nice start to the day reading your words and viewing your pictures, kind of lifted my mood! Love the creative imagery your words inspire. 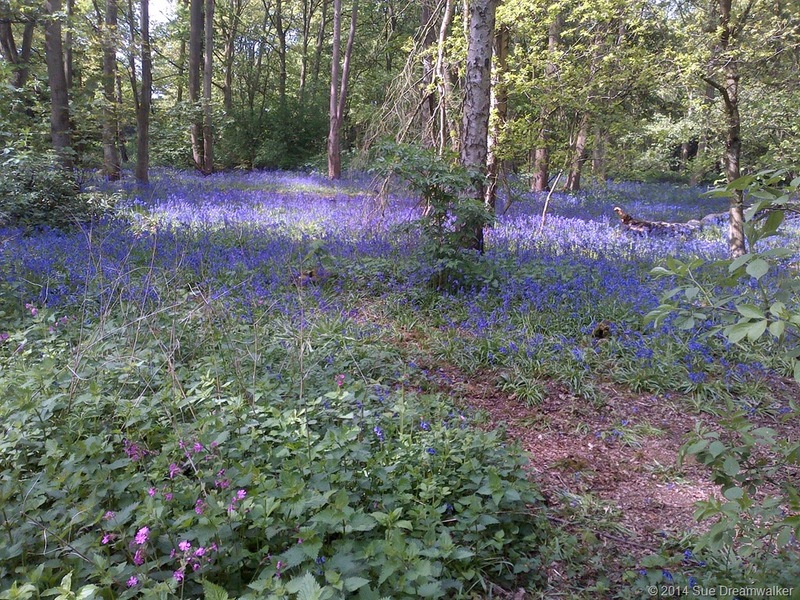 Lovely Sue and so every word is true, many Bluebells this time of year, so Lovely. Enjoyed your poem , have a lovely week. Thank you Sheila, I hope also you are enjoying your Monday, and you had a good weekend… Hugs back.. Absolutely lovely! And the pictures are magnificent. Thanks for sharing you, Sue. The world needs this. Blessings to you and have a good week. Great poem, I sometimes feel like that fairy girl. I got another orchid and posted about Phalaenopsis this time. Apparently there is a trick with the watering, which has to do with observing the roots, and whether they are dry or not. Love this, Sue. Brought a twirl to my heart and a remembrance of a time when I walked crying with sorrow too. 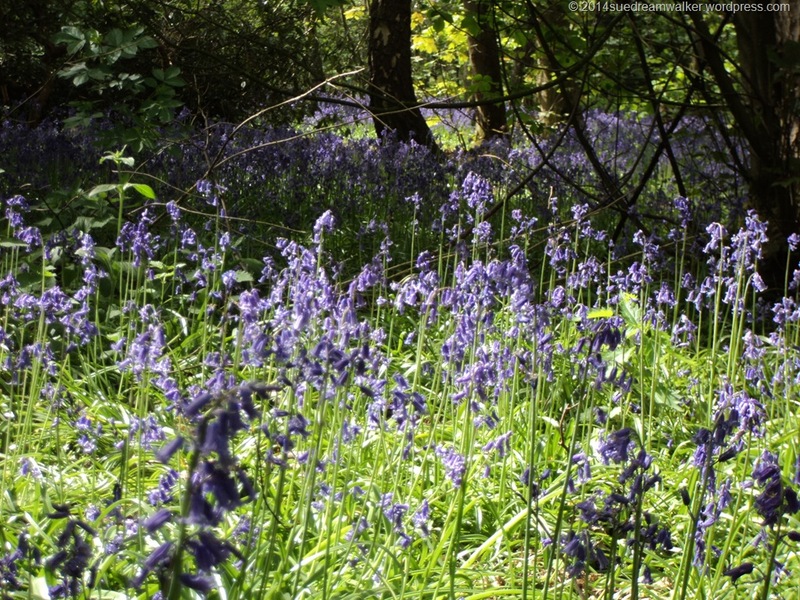 Nature is restorative and has healing powers…I love your tale of the fairy and his bluebells. Just charming…and wise and your photos are beautiful. I would love that place! 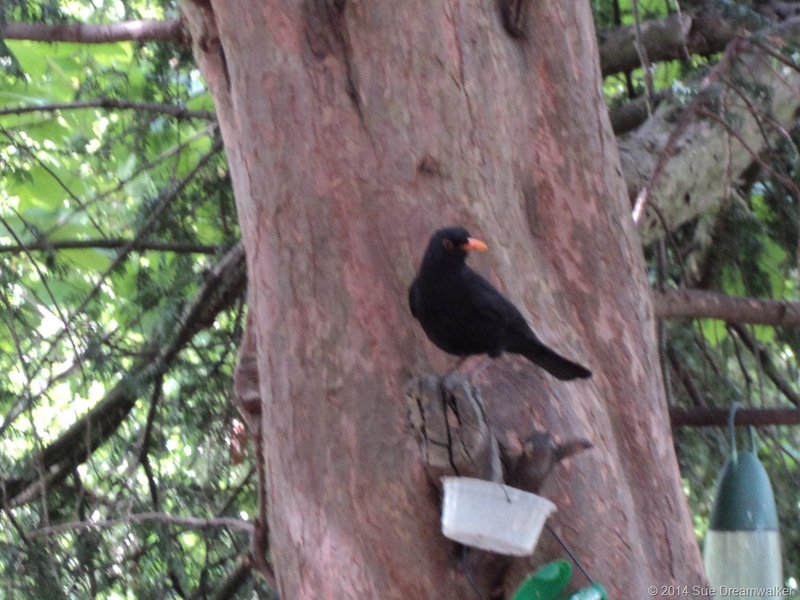 Woods, trees , birds and us… The life cycle…. My story and this poem though very different yet felt the same!! Dont know why?! Dear Aneesh, I so understand why they felt the same.. Its all about being in tune with nature and each other.. Love and Blessings dear friend .. The photos are all truly pretty… Great ending moral too. Sue,Dear ! I so closely followed you steps and your spiritual paths in the woods,I rested my eyes on the natural Bluebell carpets and unintentionaly eavesdropped on your private talks with the trees and the nymphs … Your inner thoughts and your gentle feelings cheerfully echoed off the tall trees and flooded the air with joy and hope.I seeked out the Silence,I discovered my breath and statred talking to the swaying,congenial branches … How sweet and moving your story poem is !!! It did open my heart and paved the way for happiness and contentment.Life is so beautiful and so is the life-giving nature and your poetic inspirations ! Oh Dear Doda, you can accompany me on my magical walks again… I so loved your reply, and how you joined me within my Magical experience..
Great poem. Love how you interspersed the words with the images. Gorgeous! Such beautiful thoughts can only emanate from a blessed soul. 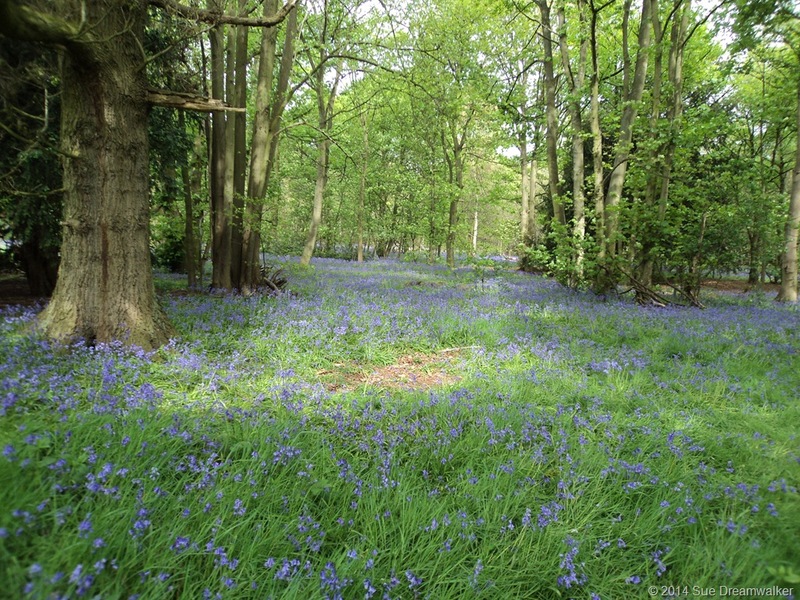 The lovely Bluebell flowers remind me of the Texas Bluebonnet flowers. 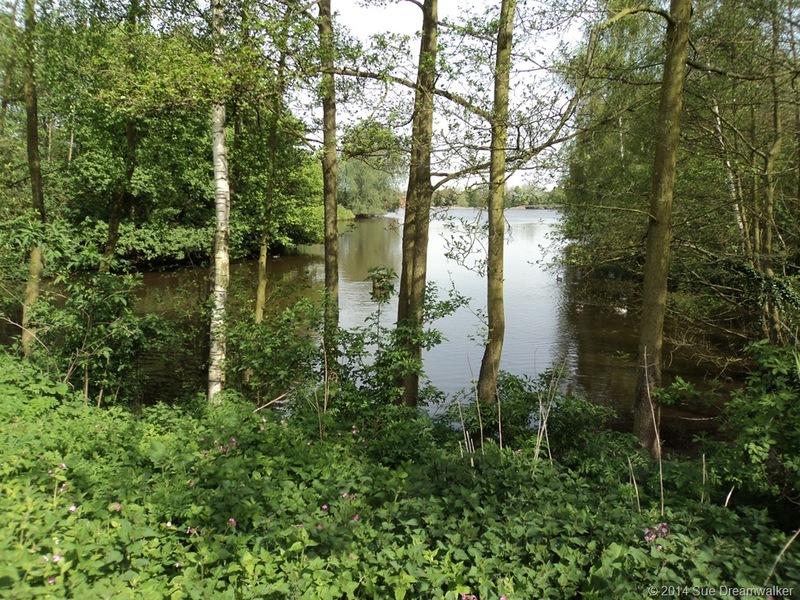 Fabulous post, Sue… magical and moving! 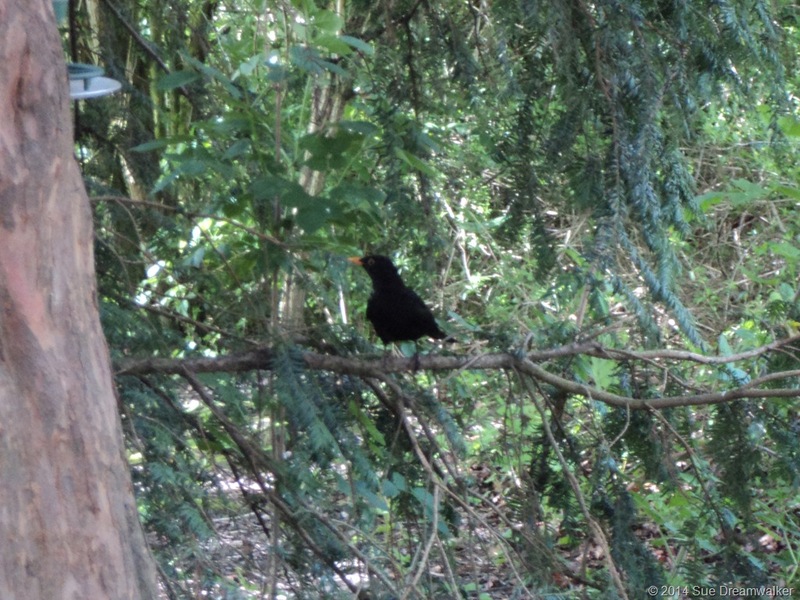 And great photos as well – love the little blackbird! A very beautiful lighthearted story Sue. Unfolded beautifully and the pictures really gave images to your story. 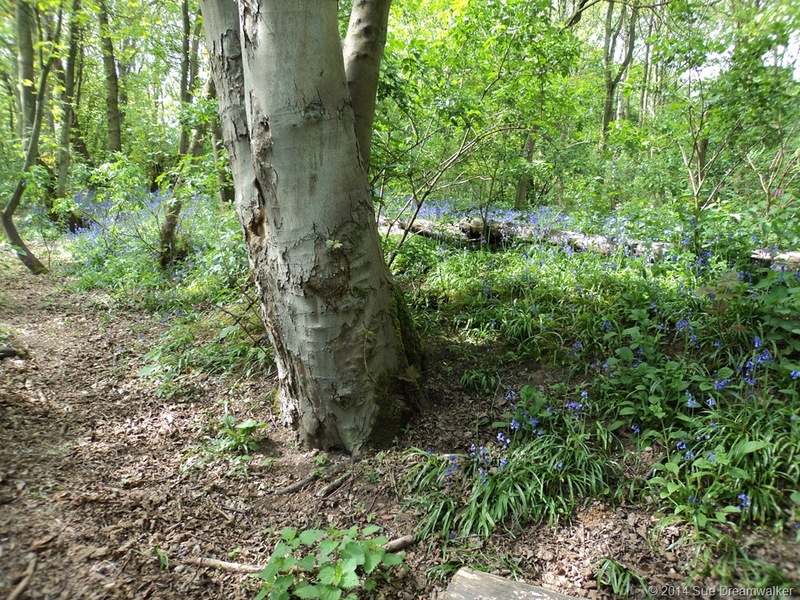 Having just spent a magical two hours walking through a Yorkshire bluebell wood, I came across your poem that described my experience beautifully. Thank you for writing this beautiful poem so eloquently. 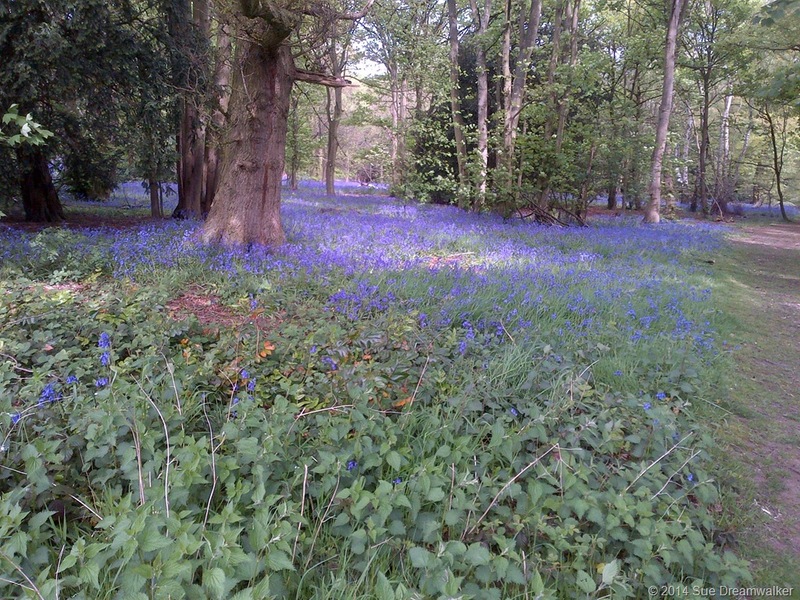 Many thanks for your kind comment.. Bluebell woods are magical and I am so pleased you enjoyed my poem.. I am having some technical issues and can not access your blog at the moment.. but hope to return the compliment..
Delightful! And such a strong message. 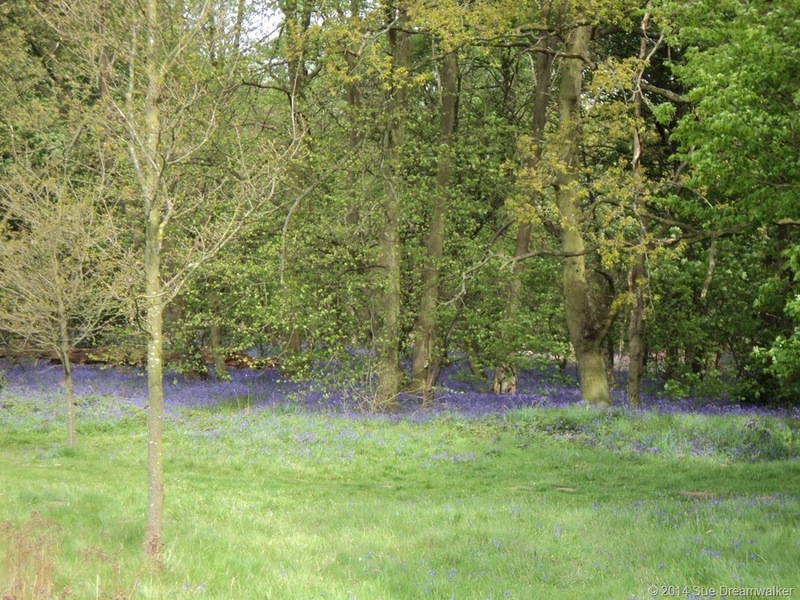 I am glad you found restoration among the trees and the bluebells. Isn’t it encouraging when a blog post written 3 years ago get revisited and brings new encouragement to a new audience!